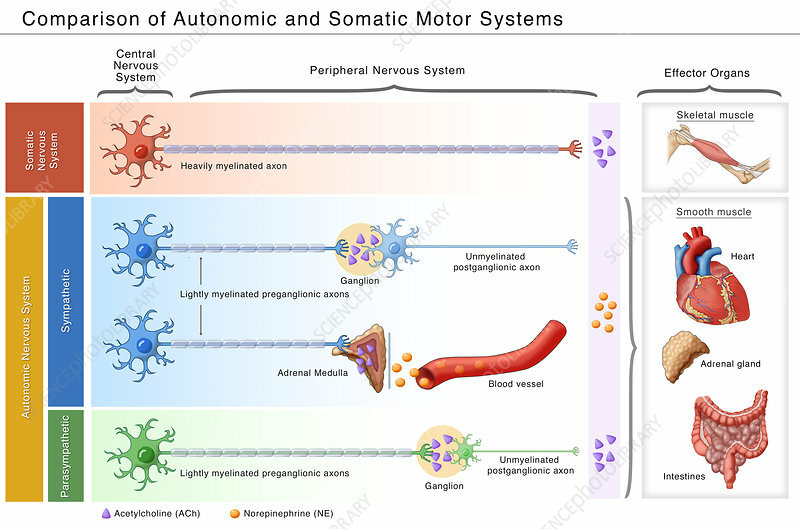 Comparison of autonomic and somatic motor systems illustration. The autonomic nervous system regulates the functions of internal organs as well as some of the muscles in the human body. The somatic nervous system (voluntary) is part of the peripheral nervous system that controls body movements.